Boasting wide ring gauges and a world of rich flavor, the cool-burning and ultra-satisfying Romeo by Romeo y Julieta has arrived. 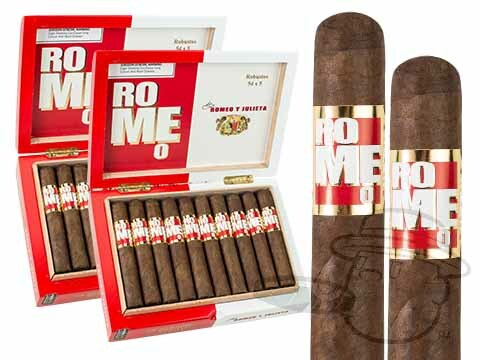 The Romeo owes its supreme balance to its blend combo of robust Dark Ecuadorian Habano wrapper over mellow Dominican Olor binder and a unique mix of Dominican Piloto and Olor filler tobaccos. Simultaneously bold and smooth, the Romeo hits the palate in all the right places. Cut the cap on Romeo and open the door to a smoky and meaty tasting profile with notes of earth, black pepper, dark chocolate, and more.